Discussion in 'Lexus Lounge' started by mikeavelli, Feb 23, 2016. Not really worried about Lexus as they scored 88% and were first the previous 3 years...but what in the hell is going on with Acura/Infiniti? They continue to plummet down the rankings every year. Joaquin Ruhi and RAL like this. Your (and Automotive News') title is entirely wrong and misleading. This ranking is about "overall" scores, an average of road test scores and reliability ratings. Lexus and Toyota remain the best in reliability despite their lousy showing in road tests. Born2Drive and Joaquin Ruhi like this. Your title is entirely wrong and misleading. This ranking is about "overall" scores, an average of road test scores and reliability ratings. Its not my title, its actually from AutoNews. Thanks. Ian Schmidt, Tragic Bronson, IS-SV and 1 other person like this. Its not my title, its actually from Consumer Reports. Thanks. Well the title is from Automotive News, not from Consumer Reports. But I now see it isn't yours. In the future, maybe send a PM or politely state your reasoning, instead of accusing me of being "entirely wrong & misleading". KREW will cover this on the homepage and will title it accordingly. I have edited the original title to include performance. Thanks. Bulldog 1, IS-SV and RAL like this. Umm my fiancé and her family have three Audis an A5 S4 and Q7. They have popped 4 tires had a small part of the bumper fall off and the button for the trunk stop working. This is all before 50,000 miles as well. Now don't get me wrong they are nice cars fun to drive but I disagree with this. Also, Lexus not fun to drive?! RCF GSF LC LCH just wait until we have all of those and the new LS! Also quite proud of myself to convince my future parents in law to buy my fiancé an NX for her wedding gift instead of the Q5 and X3! After three years at the top, Lexus has dropped to third place behind Audi and Subaru in the Consumer Reports annual report card on brand reliability and performance. KREW really got to the bottom of it!!! Only vehicles that are on the market and that we tested factor into the equation. The rankings don’t account for corporate practices or brand perceptions. Hence, Audi and Volkswagen diesel vehicles that have been pulled from dealerships—following their recall and stop-sale last year for cheating on EPA emissions tests—are not included in our car brands scoring. It's stuff like this that makes me wonder about CR. Their credibility when ranking Lexus seems lacking. I know CR has been known to have the most credibility in the past, but lately I even question their latest rankings regardless of whether they rank Toyota or Lexus high up or not. That's exactly it -- I don't find it questionable that Lexus is ranked third, I just can't believe they would put Audi in first. Makes no sense. Last year, Toyota was second, and Lexus was first. This year, I don't know what happened. After all these are reviews from actual owners and testers. I am totally surprised at Consumer reports bashing of the NX and also the top Audi rankings despite the whole Diesel scandal. I'm quickly loosing faith in what they report and the judgement that show. I don't get how you can put a car company at the top of a list when was found out they were cheating in that calander year. Also what vehicles were tested? Do we get to see that? 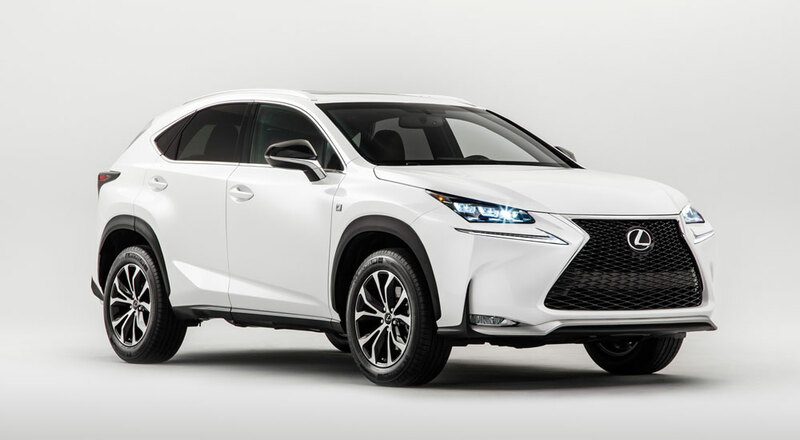 I would like to compare and see what vehicles were not recommending on a Lexus but were recommended in the segment with Audi. Shouldn't be the best of the best? And yet....the nearly Scientology level brainwashing that pulls people into believing everything they read at CR (hate them totally) is debunked just one day later by the more reliable in the automotive industry (and not toaster ovens) J.D. Powers rankings where Lexus sits atop the masses for half a decade now.